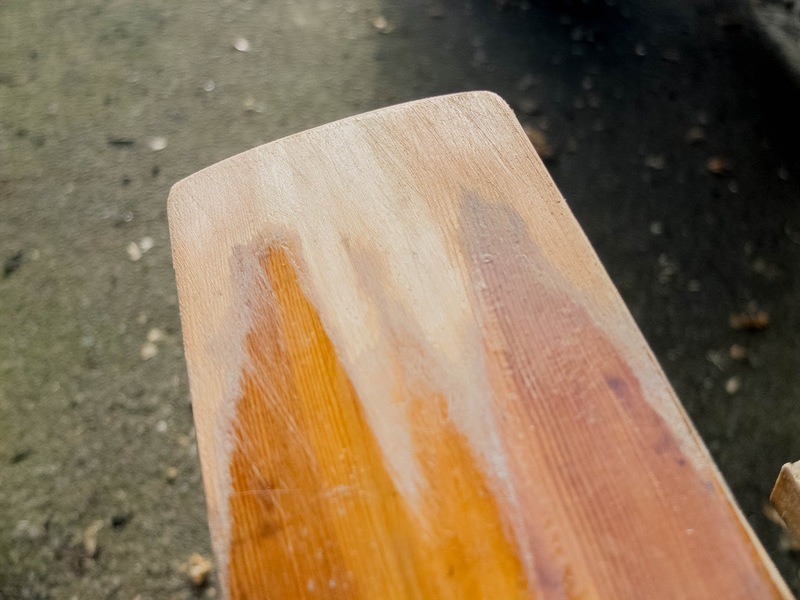 The oars don't get much use but are showing some signs of wear. 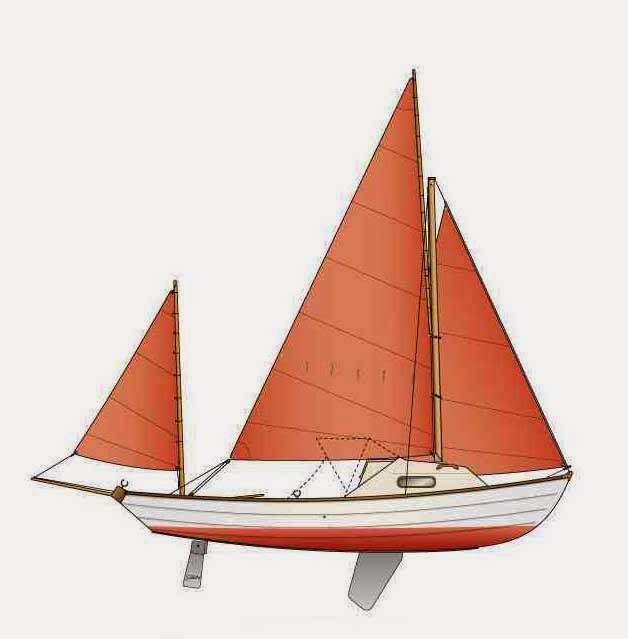 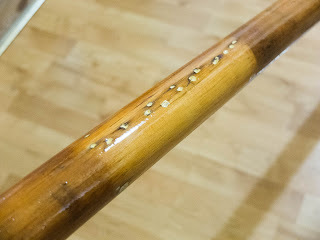 The nailed leather was not great, the nails would mark/rub on the gunwales and also water could get in where the nail entered and rot could set in. A better solution is to stitch a piece of leather in place. I marked the holes out on the inside surface of the leather and used a nail to make a hole, also from the inside. 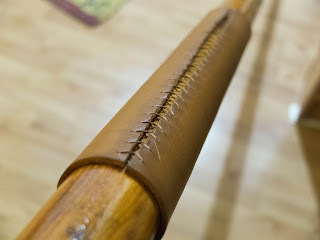 Using two curved needles made things easier and trying to keep the thread tight as I put in each stitch. 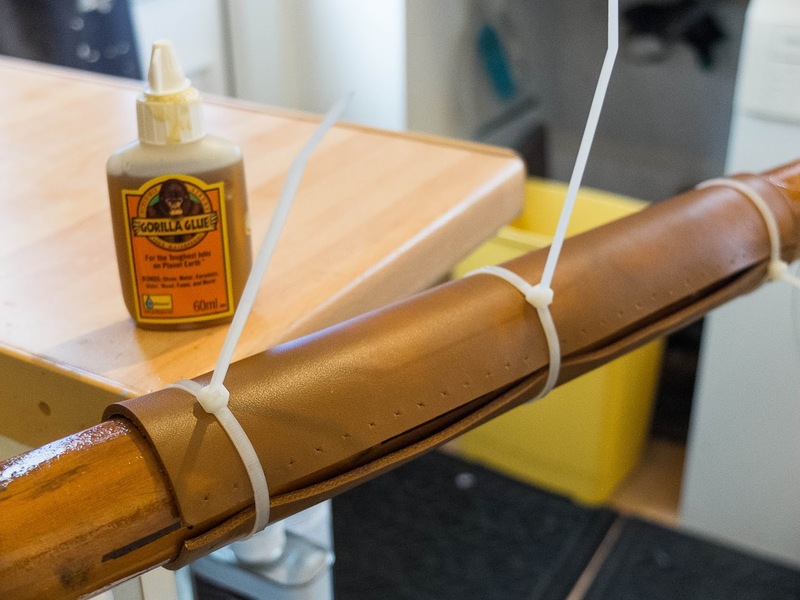 I bought 2.5 mm thick leather and 1mm waxed thread. 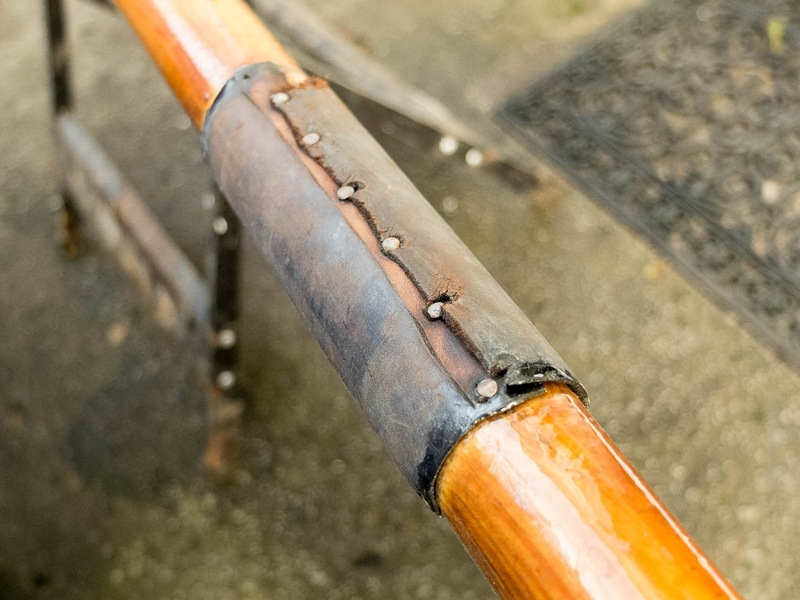 Some people add a shoulder to stop the oar sliding off the rowlocks. 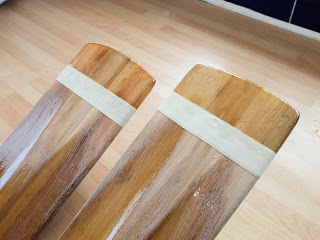 However, the leather is 12 inches long, while the previous pieces were only 7 inches long. If a shoulder is needed, then I'll look at using a "Turks Head" knot. 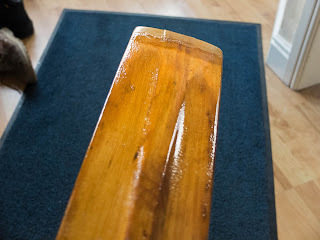 The ends of the oars were sanded back before a layer of West Epoxy was added and finished with a second layer of epoxy with some glass fibre tissue.